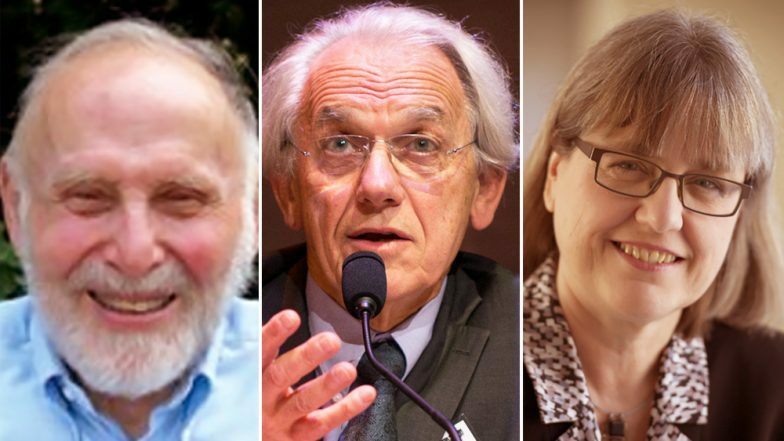 Mourou was awarded the Nobel Prize in Physics, along with Donna Strickland, for their work on chirped pulse amplification. What Strickland and Mourou has find is that stretching a laser out reduced its peak power, which could then be greatly amplified using normal instruments. It could then be compressed to create the short-lived, highly powerful lasers they were after. The technique, which was described in Strickland’s first scientific publication, came to be known as chirped pulse amplification (CPA). They probably didn’t know it then, but the tools Strickland and Mourou created have made it possible to study natural phenomena in unprecedented ways. CPA could also per definition be used to create a laser pulse that only lasts one attosecond, one-billionth of a billionth of a second. At those timescales, it became possible to not just study chemical reactions, but what happens inside individual atoms. The other two women to garner Physics Nobels were Marie Curie (1903; she also won for Chemistry in 1911) and Maria Goeppert-Mayer (1963, shared with Hans Jensen and Eugene Wigner). Nobody guessed any of the Physics winners in our contest. Try again next year! This entry was written by whyevolutionistrue and posted on October 2, 2018 at 7:00 am and filed under awards and honors, physics. Bookmark the permalink. Follow any comments here with the RSS feed for this post. Both comments and trackbacks are currently closed. I suspect an upgrade may soon follow! An upgrade will certainly follow, if not at Waterloo, then someplace else. I was pleased to see the announcement of Donna Strickland’s award. After Jocelyn Bell was quietly sidelined in favour of her male peers, at least one of whom was oblivious to the fact that he wouldn’t have a Nobel prize if it wasn’t for her persistence, it is about time. I don’t think Bell was “sidelined” as when I checked she was the second author on the pulsar paper; and there were more non-awarded co-authors/co-discoverers. YMMV of course, but the evidence seems to be that it was the usual ranking by author/work done, not the other way around. She certainly has always said in interviews that her career was better for not winning. Nobody guessed any of the Physics winners in our contest. I don’t think these three physicists were on the radar of most of us. At least us non-physicists. Physics is so large. I have heard of the awarded techniques though. Can’t say I understand much about what this was awarded for but if it can be used to remove those pesky nose and ear hairs, I’m all for it! God that was awful. Saw it on the weekend. Became sad. Donna Strickland and I share the alma mater. I haven’t been quite as successful. UW certainly has a lot to celebrate today. Good for all the winners, and a special congrats to Mourou and Strickland.